Oh New York City, how I love you so. When I was 11 years old, I borrowed Broadway cast albums from the library and dreamt of living in NYC. I didn't know anyone who lived there. I didn't know anyone who wanted to live there. I just KNEW that I had to get there someday. I've never lived in NYC (not yet at least) but I DO get there twice a year. It's a priority - I'll give up a lot before I give up my one trip with friends and another trip with the man and the girl. Last week I met a good friend from London in NYC for 5 days. 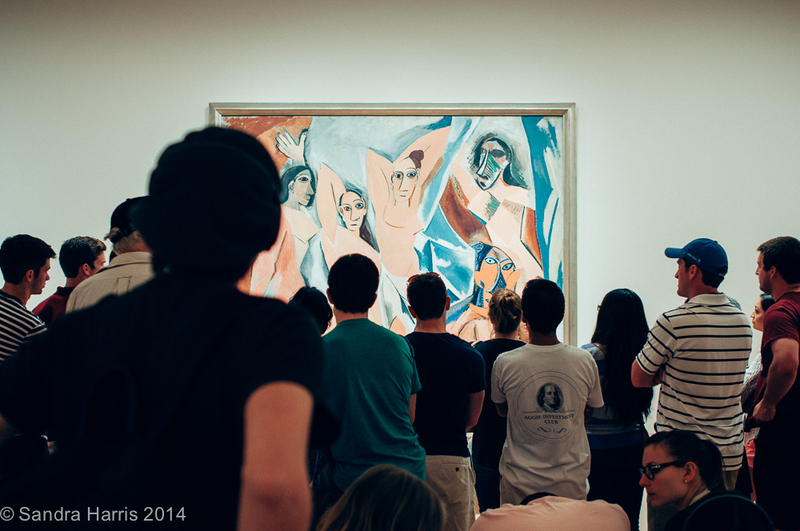 We share a love of museums and spent some time at the Metropolitan and MOMA (Museum of Modern Art). It's a treat to hang out with a friend who knows you from way, way back, especially now that we both live in "new to us" cities. 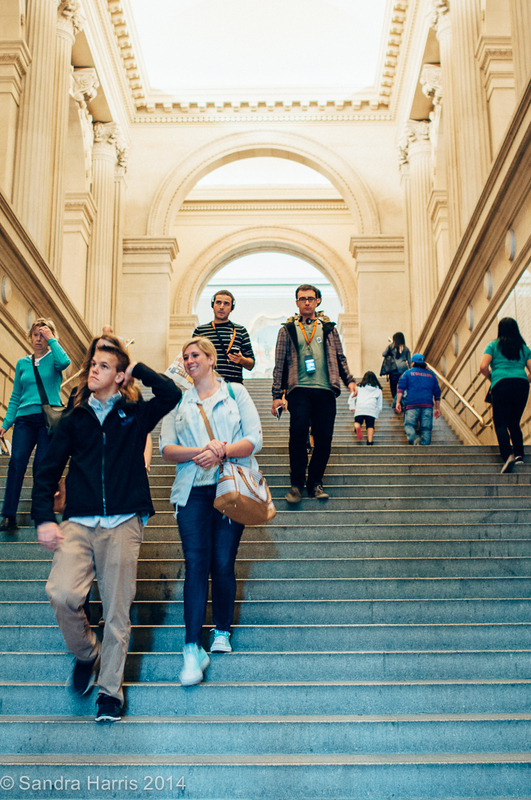 First the Metropolitan Museum of Art. I saw the amazing Charles James: Beyond Fashion show at the Metropolitan. It's the perfect mix of fashion history and technology. James' evening wear is intricate and complicated - sculptural almost. You can see the influence of coming up through the ranks as a dressmaker. The software clearly showed the construction of each piece. 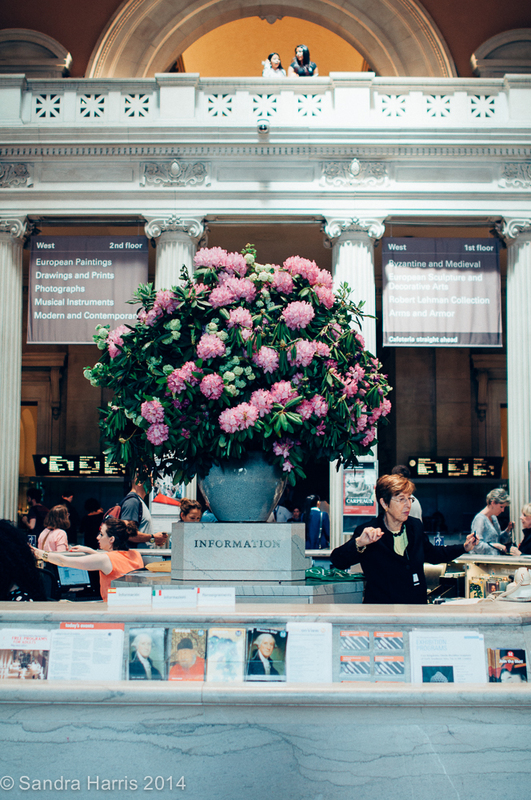 The Metropolitan is a sprawling mass of galleries and buildings built since 1866. I still get turned around sometimes trying to find my way out. (If you visit, know that the $25 entrance fee is "suggested" - pay what you can. 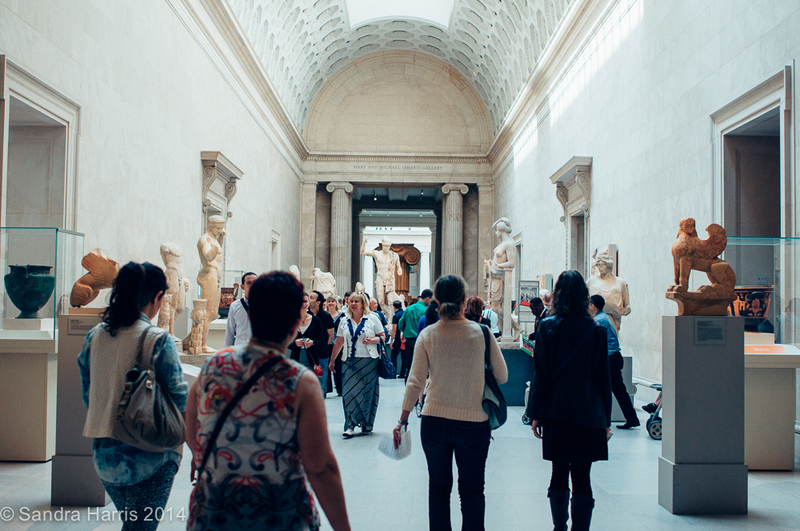 My friend was surprised - all museums in London are free). 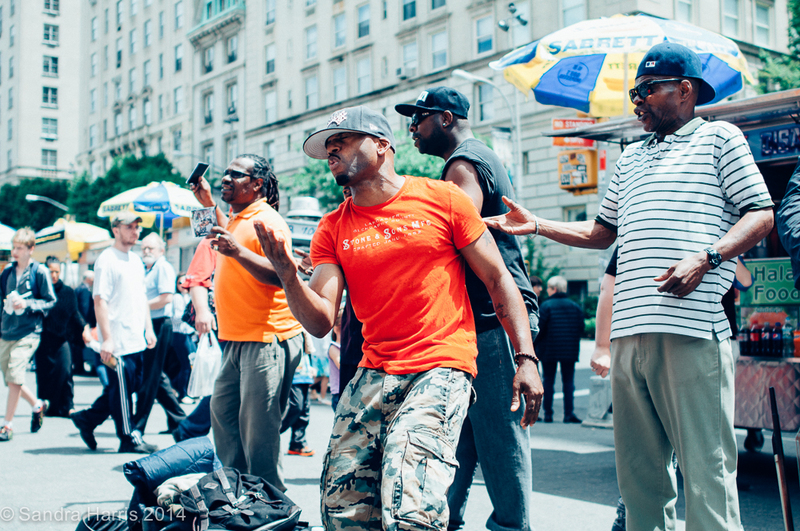 There's always some good entertainment on 5th Avenue below the steps outside the front entrance. Did you watch Gossip Girl? Blair and Serena ate lunch on the Met steps. And then there's my favorite museum MOMA. We live across the continent and in another country and STILL have a membership. 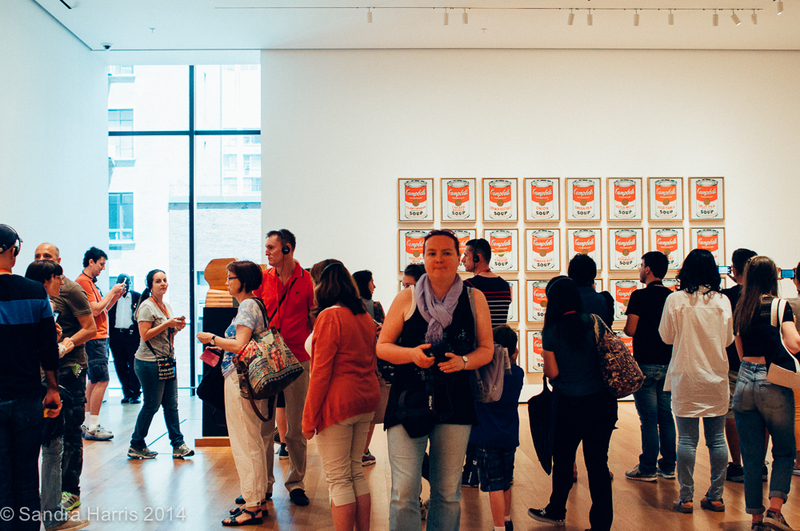 (Friday nights from 4-8pm are free as are children under 16. They also have excellent family/kid tours and programs on weekend mornings). I feel so happy seeing people visiting the museum and taking the time to learn about art from the docents giving tours. No matter what happens, if people are into art, I'm optimistic about the future. Does that sound crazy? I believe it. One of the exhibits is a retrospective of artist Lygia Clark. We were able to take part in one of her performance pieces from 1970 that simulated conception and birth. Full size. In public. Ovulation. Conception. Birth. 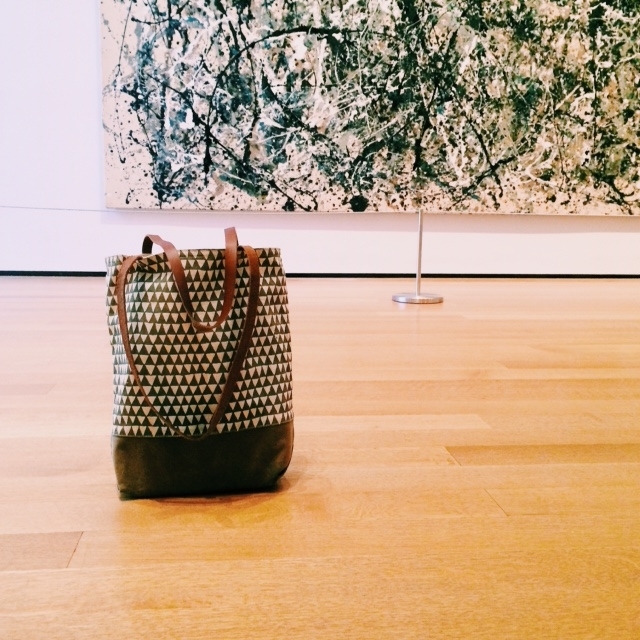 My favorite Bookhou bag with a Jackson Pollock painting that was recently restored. If you are interested in the restoration process, it's all here. That's "Mistah Warhol" to you. 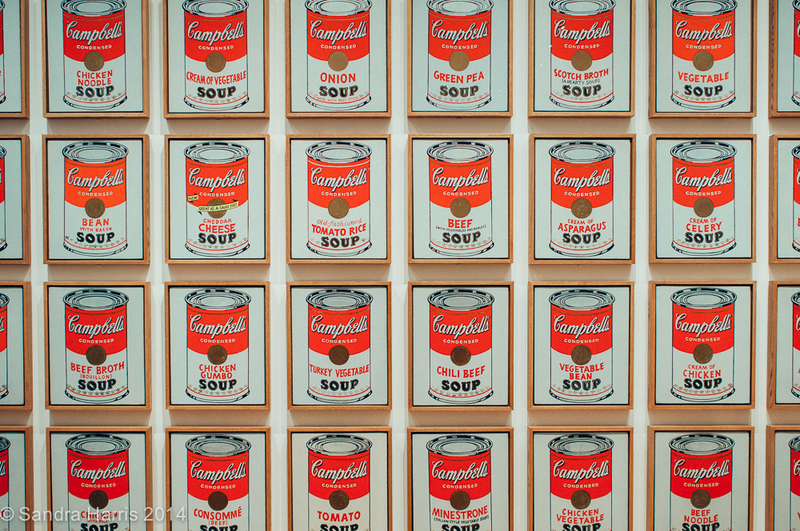 Soup cans. 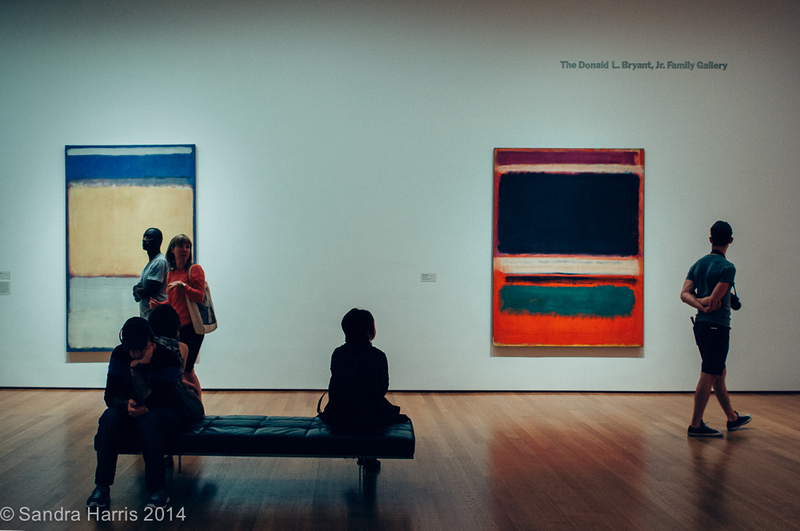 And some Rothkos of course. Were you giddy in season 2 of Mad Men to see that Bert Cooper had a Rothko in his office? I was. 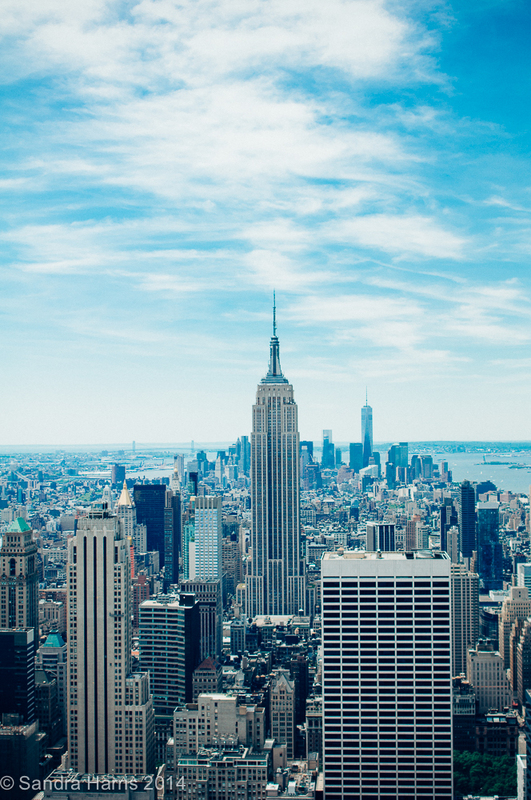 New York has a reputation for being busy and fast paced. I love the energy but there are also pockets of quiet. 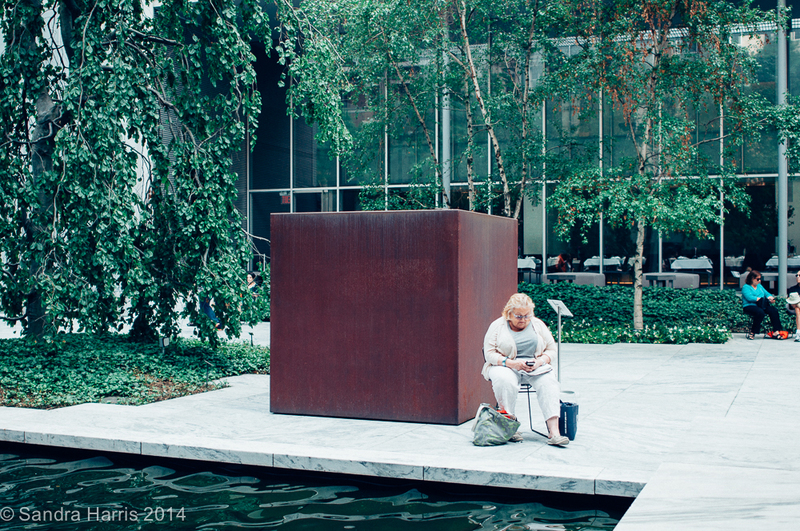 One of my favorite peaceful places is the sculpture garden at MOMA. It was Memorial Day weekend and you'd never know it. i'll share more of my NYC trip over the next few weeks.